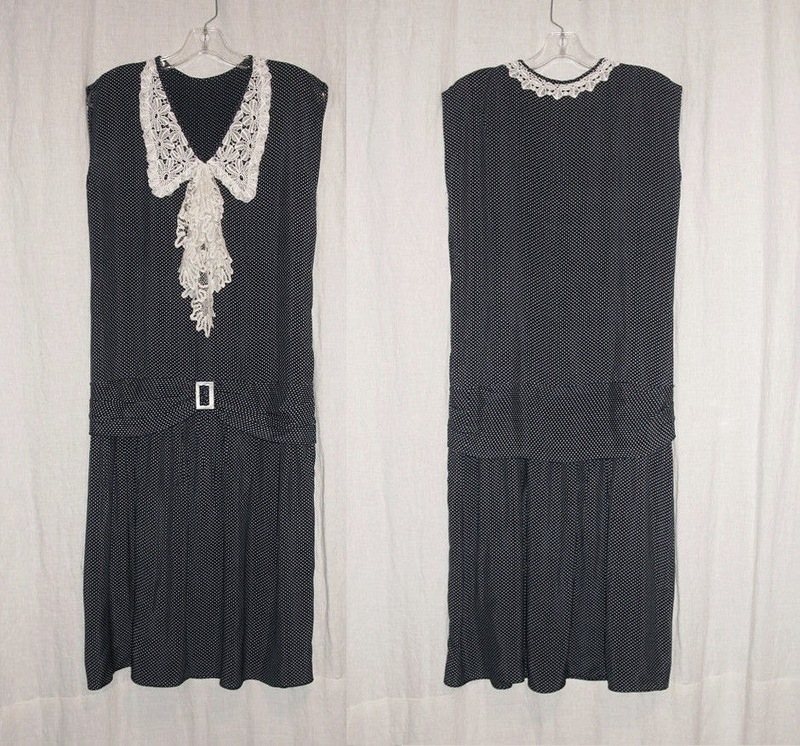 Pretty 20's vintage Flapper Work Dress made from Navy Blue Cold Crepe with tiny white Polka dots! 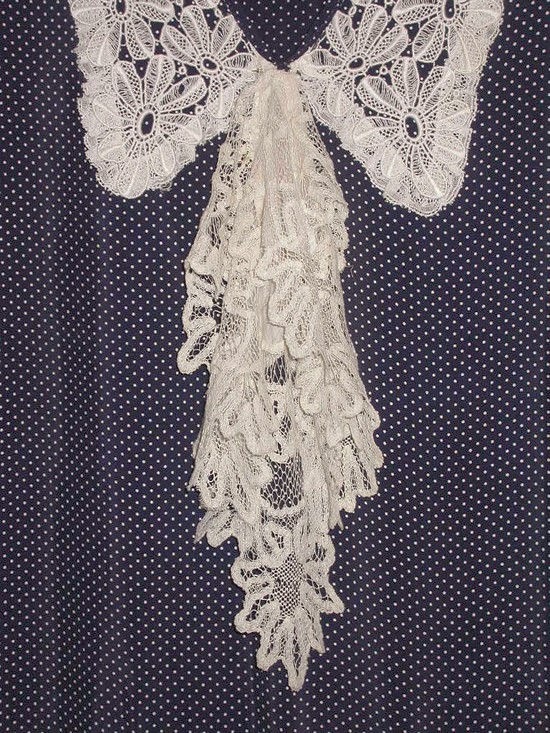 Pretty "V" neckline, with Bold White Lace Collar & Removable Handmade tape lace Flounce! Simple Sacque style , Skirt has medium Gathering. Drop Waist has attached wide belt with Mother of Pearl Buckle. 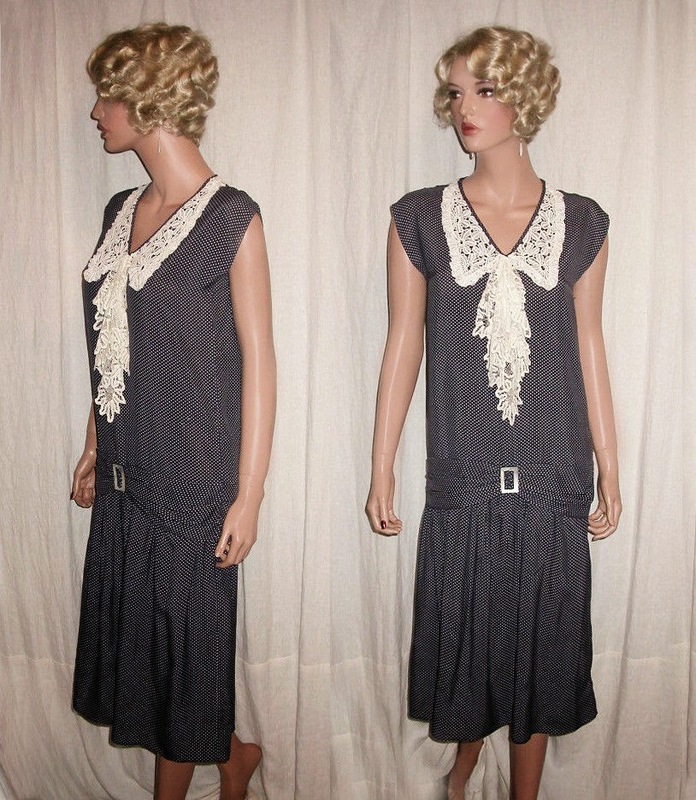 Pullover style has opening under arm on right side that extends into the skirt, closes with snaps. Flounce has a brooch back, that unpins. Lol! Not a work dress - just a nice day dress. I love how pretty this looks despite it being very simple in cut and in style. There is nothing special about the fabric - basic polka dot- or the bit of lace at the neckline, but together they look perfect.